Examples of NEW PARADIGM Splitting and Pairing Accelerated MASSLESS (Micro) Black Holes. 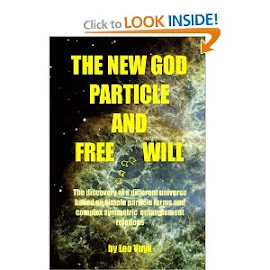 : Monopole Fermion radiation according to the Quantum-FFF Model. Monopole Fermion radiation according to the Quantum-FFF Model. 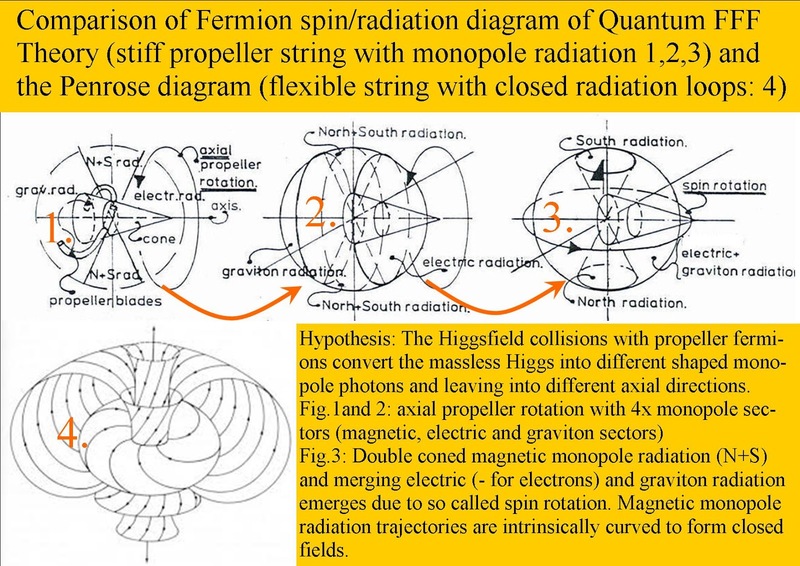 Hypothesis: The Higgsfield collisions with propeller fermions convert the massless Higgs into different shaped monopole photons and leaving into different axial directions. Fig.3: Double coned magnetic monopole radiation (N+S) and merging electric (- for electrons) and graviton radiation emerges due to so called spin rotation. 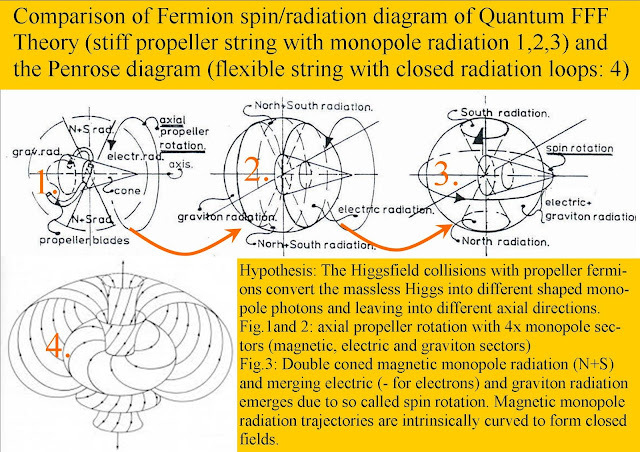 Magnetic monopole radiation trajectories are intrinsically curved to form closed fields.